Hello. My name is Henry Gent and I run Mosshayne Farm, a 600 acre of mix of mostly pasture, and some barley and kale. This supports 280 cows, about the same number of calves and young stock, as well as some chicken. We’ve been farming here for 120 years, following in the footsteps of my father, grandfather and great – grandfather. 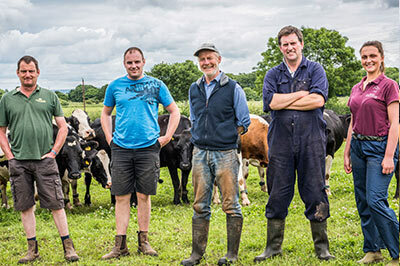 We converted to organic dairy farming 17 years ago as we felt it was a better way to farm and started to supply milk for Kingdom Cheese in August 2015. Our herd can spend up to 12 months of the year outside gazing forage as our climate in the West Country is so mild.